Ethics is the study of what is right or wrong in human conduct. This is a branch of Philosophy which studies moral principles. Hence, Ethics is also known as Moral Philosophy. 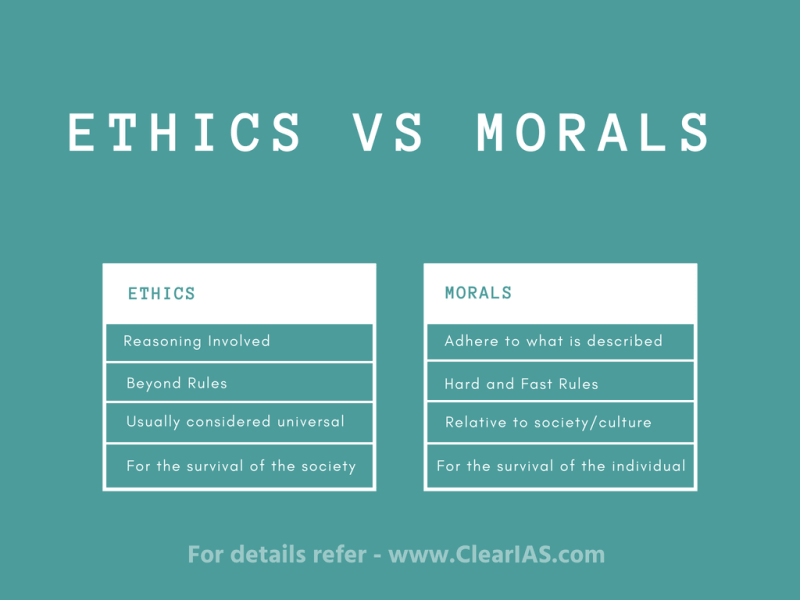 Many people use the words Ethics and Morality interchangeably. However, there is a difference between Ethics and Morals. To put it in simple terms, Ethics = Morals + Reasoning. For example, you might feel that it is morally wrong to steal, but if you have an ethical viewpoint on it, it should be based on some sets of arguments and analysis about why it would be wrong to steal. To be moral is all about adhering to what is described (by society or religion). But to be ethical, you should figure out what is right – by applying some principles and considering all the complexities involved. Clearly, the ethical life is the harder path. Let’s take the case of a car driver and an automobile engineer. The car driver knows how to drive a car, but he may not know the engine mechanism or design principles. However an automobile engineer is concerned with how the car works, and the principles involved. Connecting the above example with ethics and morals, you can see that following morals is just like driving the car without understanding the working principles of the engine. 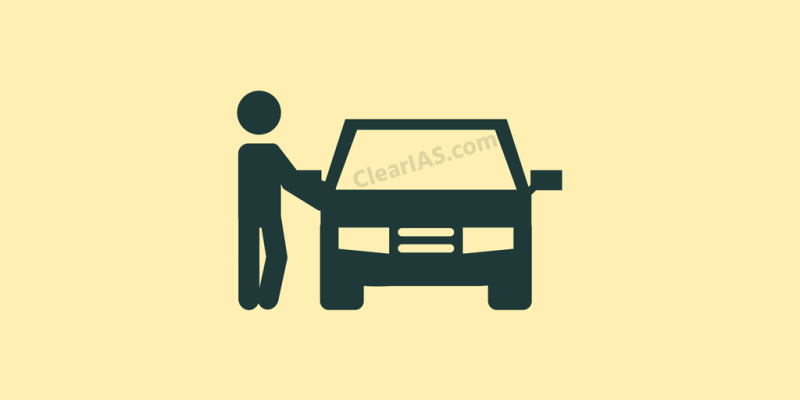 But if you follow ethical principles – you would be using reasoning and analysis (just like the automobile engineer in the above example) to understand the situation/case better. If the engine starts to create trouble, the engineer may be able to use the problem-solving approach as well. Ethics is all about reasoning about how one should act in a given circumstance – ie. how to do the right action. Ethics is the study of morality. The essence of Ethics (core of ethics) is to understand those philosophies which guide us in determining what is right or wrong. Satisfying basic human needs etc. 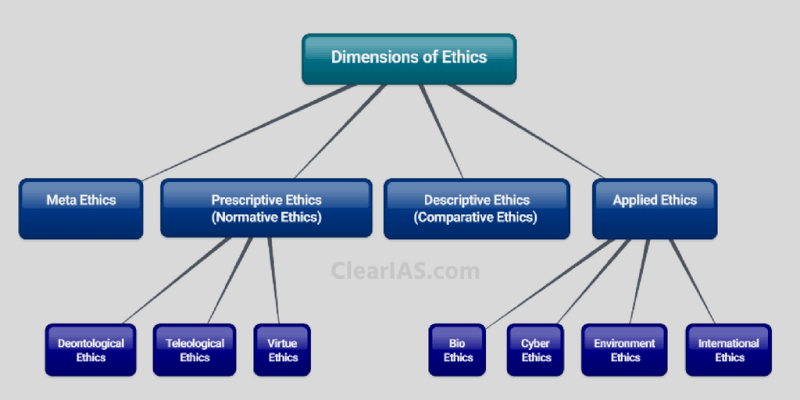 We will see the different branches of ethics in detail, in the next post – Dimensions of Ethics. 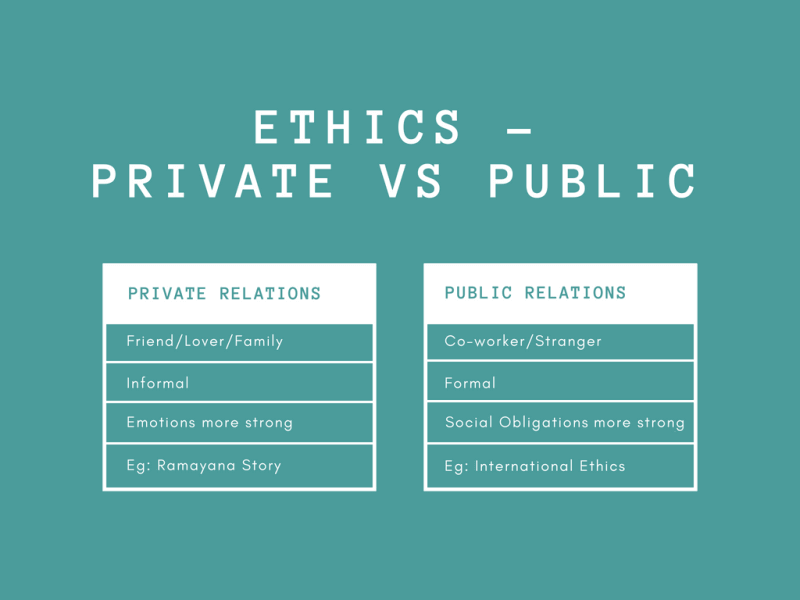 Individuals should be ethical in both private and public relationships. In doing so, they should also try to achieve a right balance between private an public ethics. Private relationships largely involve relations with family and friends and hence are informal in nature. Private relationships are often driven by emotions and not by reasoning. This can result in unethical practices. For example, helping your friend to cheat in an exam (unethical). Also, remember the Ramayana story where Kaikeyi tried to put her son Bharata on the throne, ahead of Rama – the elder son of Dasharatha (unethical). Public relationships involve relations which are formal in nature. This can include co-workers, government officials, or strangers. There can be legal or social obligations as well. Social Ethics – tolerance towards other sections, peace and harmony etc. Political Ethics – constitutional ethics, national interest etc. Organisational Ethics – impartiality, honesty, hard work, efficiency, corporate governance etc. International Ethics – ethics in diplomacy, respecting international treaties etc. Very useful content for beginners …..pls give this type of useful content for other subjects also….. Thank you for the feedback. Yes, we provide easy-to-learn contents for all subjects. More articles coming up. Thank you for the feedback. Great to know that the article helped you. All the best! Until your article came to the rescue . Great to know that our way of presentation suits your line of thinking. All the best! Yes clear ias your way of explaining is excellent, i think you know that how we will understand the topics. Very good and lucid. Please cover the entire Ethics syllabus. Wow, I am amaze to see such a way of explaining ethics. Thank you clear ias your efforts are doing much for us. I have one question, are these notes sufficient ? It’s really so helpful . U made the paper interesting for me just in a glance. Thank you so much for this. Lexicon is such a headache. I was avoiding GS 4 for so long. Very simple language and easy to understand flow charts.